I like to think about ridiculous stuff. Like how our world tends to value extroverts more than introverts. From what i've seen in my 20 years of life, i tend to notice that people who are extroverts are the ones who get more friends, get accepted more easily and can get things more easily due to their sociable nature. Introverts on the other hand, are often viewed as unfriendly because they tend to mix lesser with people and as a result, they are also often lonely and have very little friends. I know this, because i'm an introvert myself too. Consequently, some people think of me as a arrogant person (someone told me this before) who do not like to speak with new people. I give the impression of being unfriendly as i seldom make the first move to get to know new people. So when it comes to big social events, i'm usually the guy who sits quietly at the corner alone. It's not that i enjoy being an introvert, it can get pretty depressing sometimes, but most of the time, i find myself lacking of courage to go to people that i do not know and make friends with them. 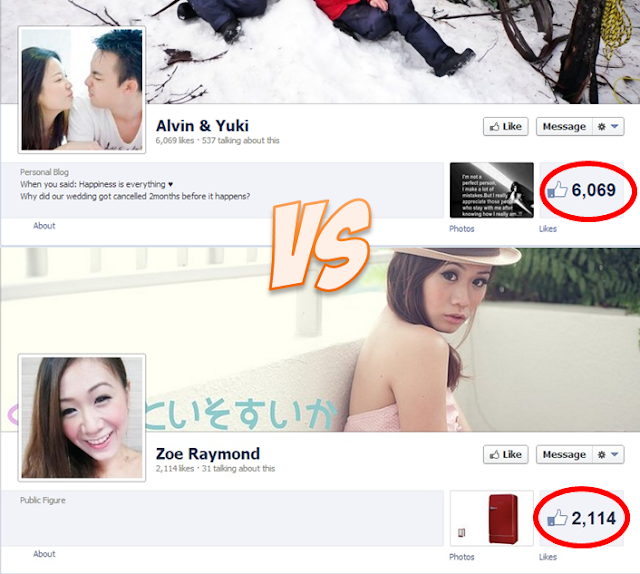 well, there are "friends" and there are "acquaintances". 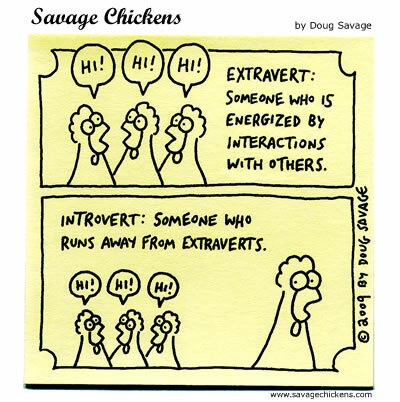 Extroverts might have more "acquaintances" but he/she might not have real friends. Introvert on the other hand, if he/she gets a friend, it's gonna be a real friend. Don't you agree? i kind of agree with joshua about "friends" and "acquaintances", but whether you have more friends or acquaintances, it cannot be purely because of you are introvert or extrovert. rather, i guess it's very much depends on how much do you treasure the friendship. well, i guess it's not a serious social problem, as long as you are comfortable with who you are, why bothers? 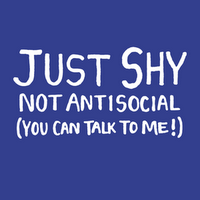 i'm an introvert person too! but blogging makes me not!